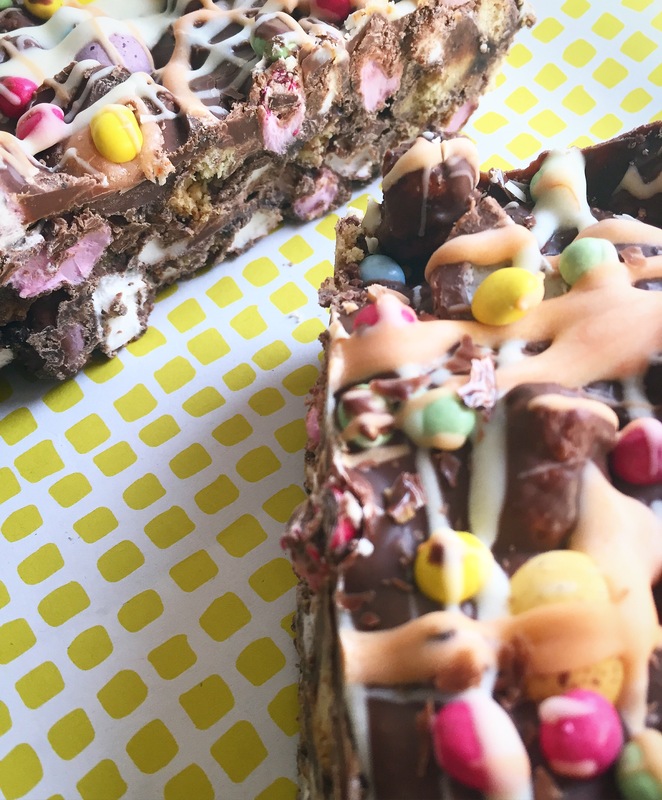 My Cookies and Cream Rocky Road recipe is a massive hit on the blog (as well as with friends I’ve made it for) and something I didn’t think I could top when it came to tray bakes…until I made this Easter version! 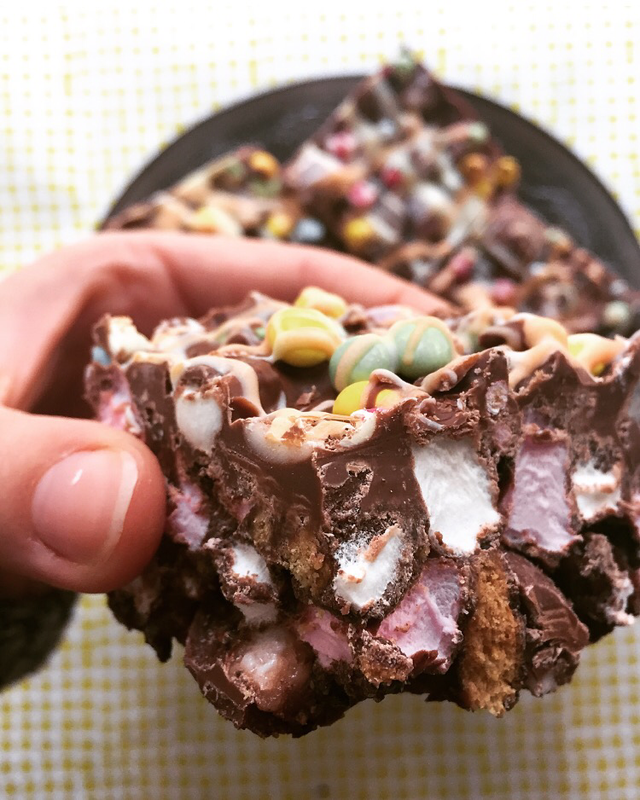 Crammed full of everything you would expect from a traditional Rocky Road, this dessert is made better by some of my favourite Easter treats such as Mini Eggs, Creme Eggs and Oreos (okay, these are my year round favs). 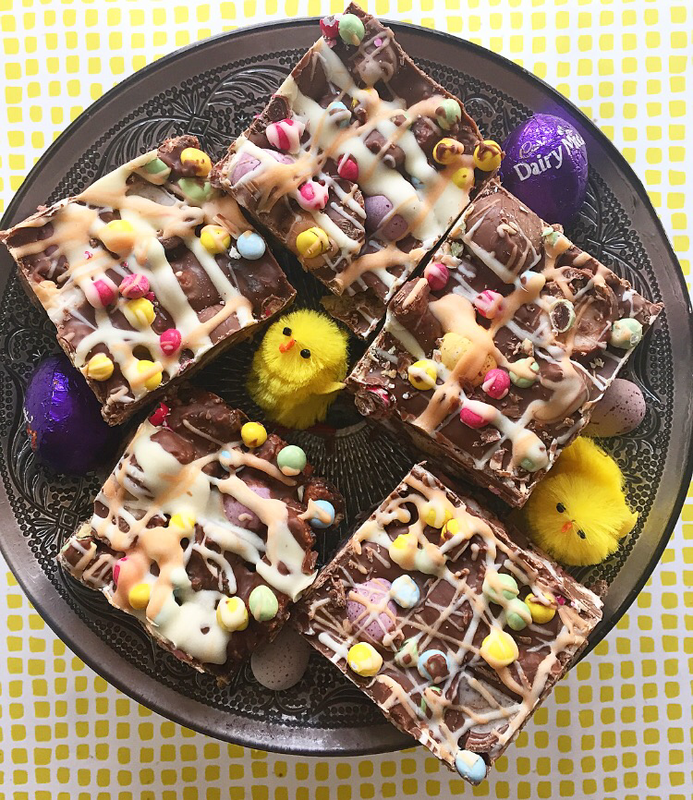 The result is a chocaholics DREAM and something fun and easy to make with the kids – definitely make sure this forms part of your bank holiday weekend. 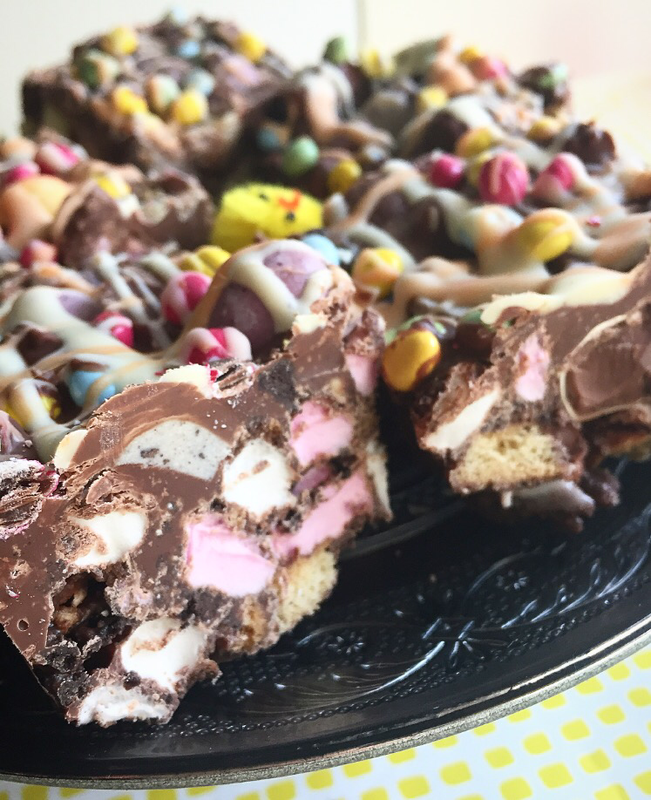 Tip: The mini Oreo/Daim/Cadbury Creme Eggs should be placed in the freezer overnight as this will make them easier to cut up. Note: I use just chocolate in the below recipe but you can add a dollop or two of golden syrup to help bind together all the ingredients. You can also use some butter but I find it a bit greasy when I use this along with golden syrup and personally prefer it without but if you do add, I would use 50/75g along with the chocolate. Wow, these are so over the top! They look awesome! Wow this looks amazing!!! 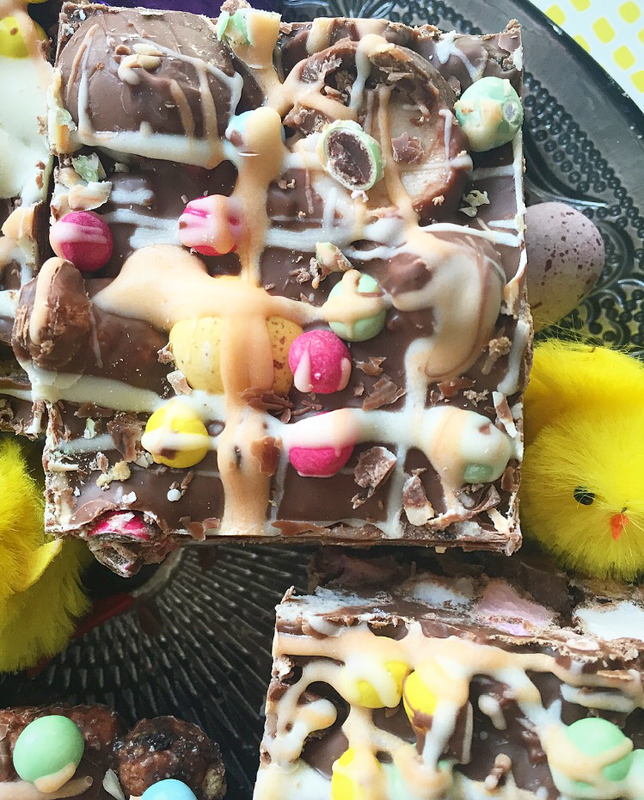 For the milk and white chocolate, did you use normal chocolate or cooking chocolate?